December | 2012 | Let Teddy Win! Every few years, every major league baseball team gets a new batting practice cap design. 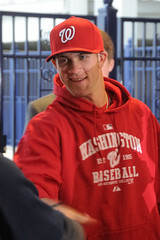 ESPN’s Uni Watch has published a sneak peak at all of the new team caps, including the new Nationals cap, shown here. The white cap with contrasting brim replaces the previous red cap which was distinguished only by its blue piping. The National Institutes of Health Clinical Center is holding its Seventh Annual Gingerbread House Contest in its Bethesda headquarters, and alert reader Cindy Smith Clinton shared this photo of one notable entry — a DC Mall scene featuring Teddy Roosevelt winning a presidents race on the National Mall. The meticulously decorated gingerbread creation includes the Washington Monument and Capitol Building, with Teddy breaking the tape and 2012 champion George Washington lying in defeat. Entries are on display in the atrium of the NIH Hatfield Building through the holidays. 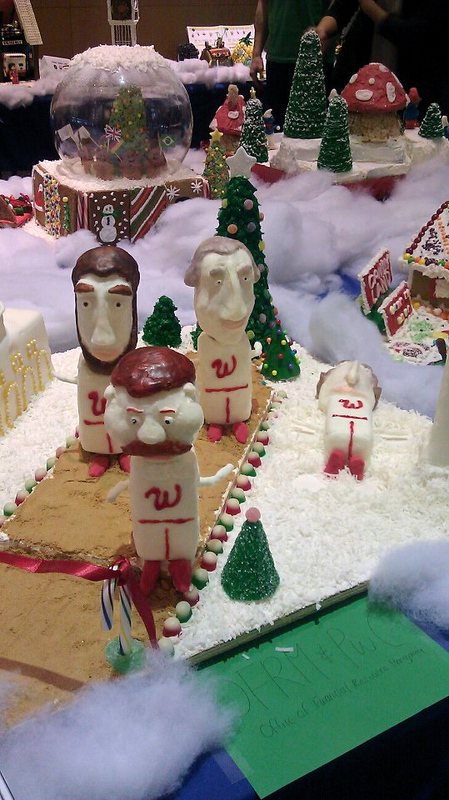 You can view all the entries, including a replica of Nationals Park, and vote for your favorite here through December 15. 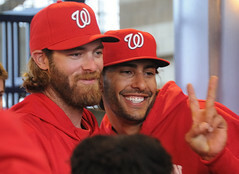 The Washington Nationals presidents race has been named Best On Field Promotion in Sports for 2012. The award is bestowed annually by Gameops.com, a web site which connects sports teams and event producers with ideas and tools for on-field promotions. 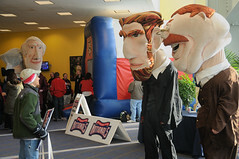 This is the third time that the Nats’ racing presidents have nabbed the award, having taken the prize in 2007 and again in 2009.